There are many women who may not be very famous, but without them, things would have never been the same. 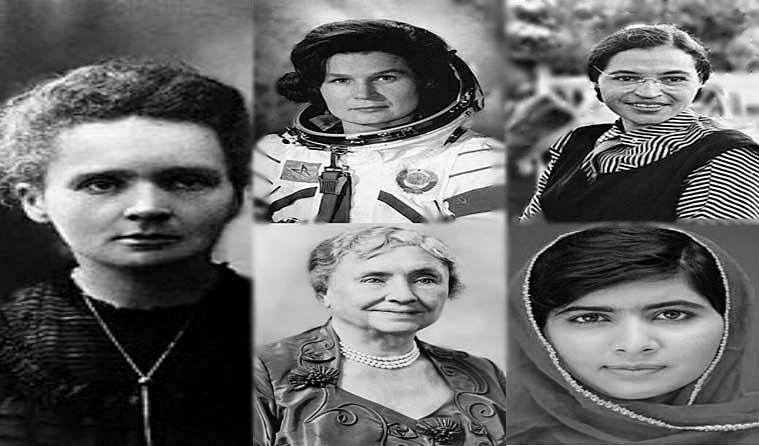 In honor of Women’s History Month, let’s have a look at some of the legendary women who helped change the world! Curie, along with her husband, discovered radioactivity and developed a theory about it that helped in the treatment of neoplasms. The French-Polish physicist’s efforts led her to become the first women to win the Noble and the first person ever to win it twice; once in 1903 in physics shared with her husband and another in 1911 in chemistry. Tereshkova is a Russian astronaut who orbited the Earth 48 times. She was the first woman and civilian to fly in space and the only woman to go on a solo space mission. She also made great efforts concerning politics in her country. In 2013, at the age of 73, Tereshkova announced that she’s very willing to go on a one-way trip to Mars. Parks was a civil rights activist who fought greatly for equality. In 1955, Parks bravely refused to give up her bus seat to a white man and was arrested for it. Nevertheless, it was thanks to this incident that segregation ended in public facilities in America. Keller was the first deaf and blind person to receive a bachelor degree in arts. She was an American author and a politician. She’s most recognized for her efforts to raise awareness about disabled people, especially deaf people. Yousafzai is a Pakistani advocate for girl’s education. As a result of her continued efforts and persistence, she got shot in the head when she was only 15 and thankfully, she survived it. At the age of 17, Yousafzai became the youngest person to win the Noble Prize for peace. Although not everyone is familiar with these women, they are people who truly made a difference in their fields. We hope to see such dedication and strong wills in our women nowadays and give such women more recognition. What about you? Do you think there are women out there who deserve more attention than they are given?